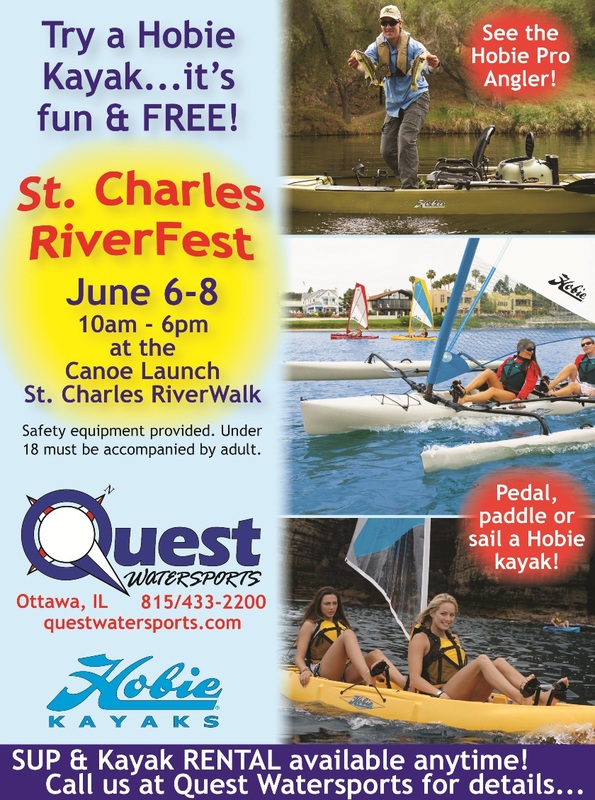 Quest Watersports is a proud sponsor of the year’s St. Charles RiverFest. Join us at the St. Charles Riverwalk Friday-Sunday, June 6-8, to try a Hobie Kayak and check out the famous Dragon Boat Races. More RiverFest info at http://prideofthefox.net/.